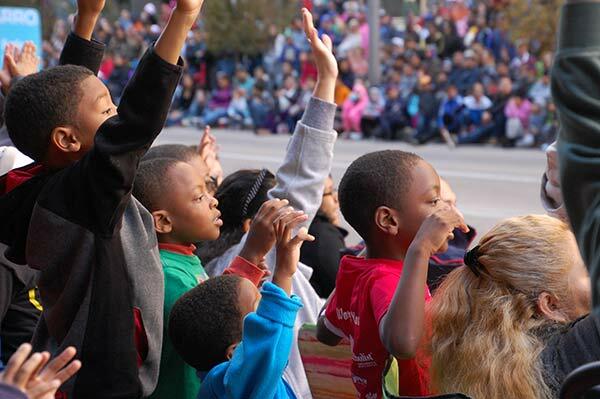 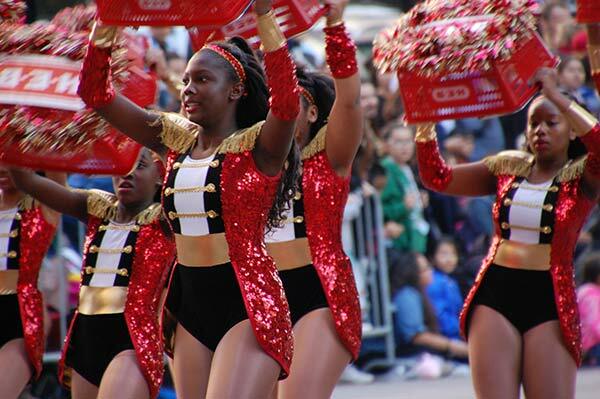 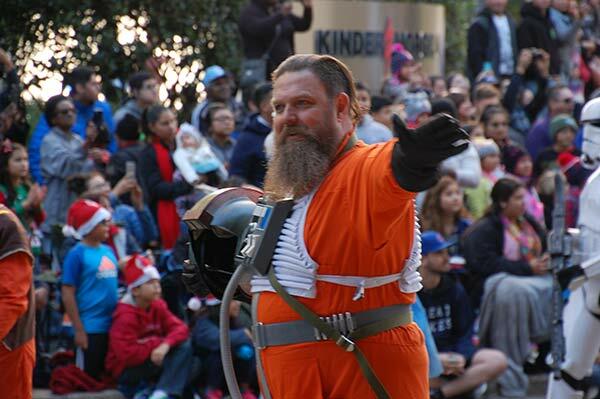 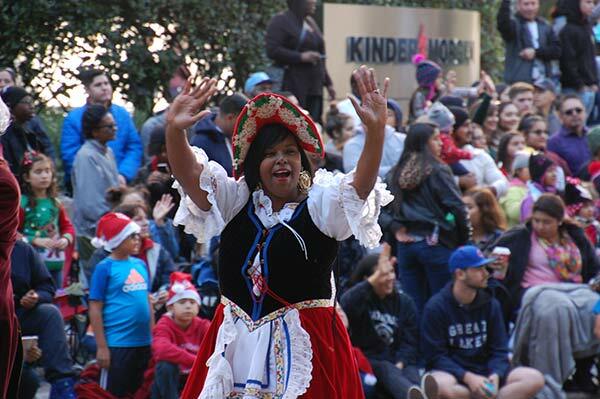 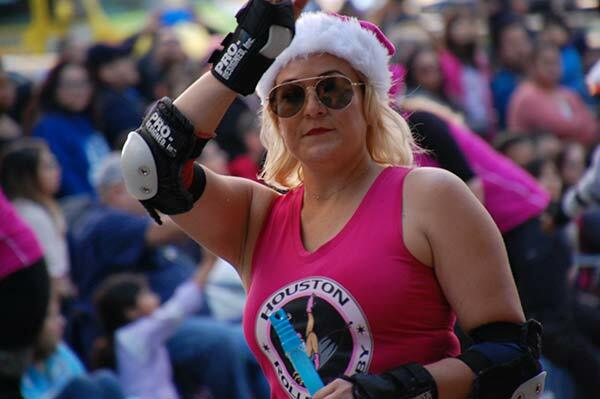 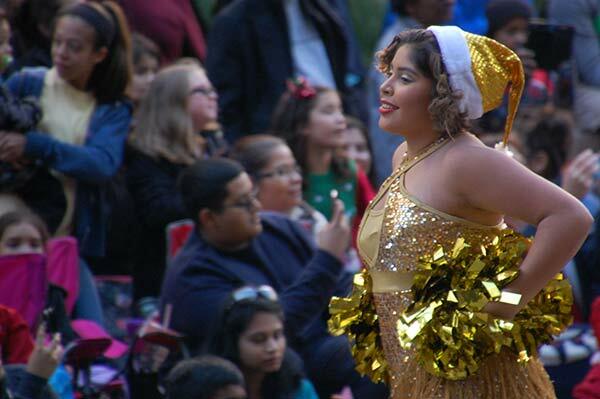 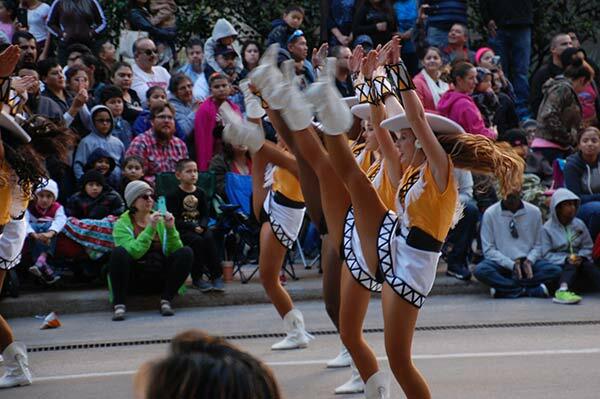 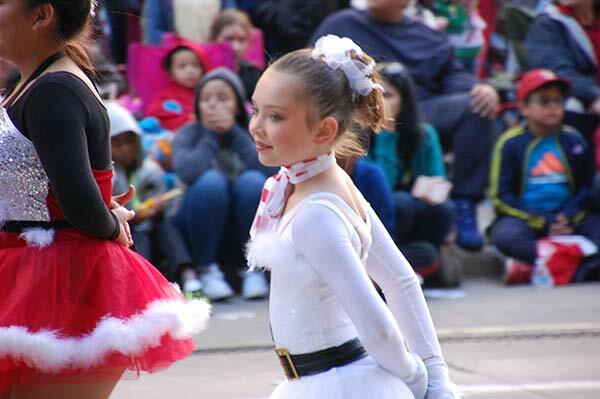 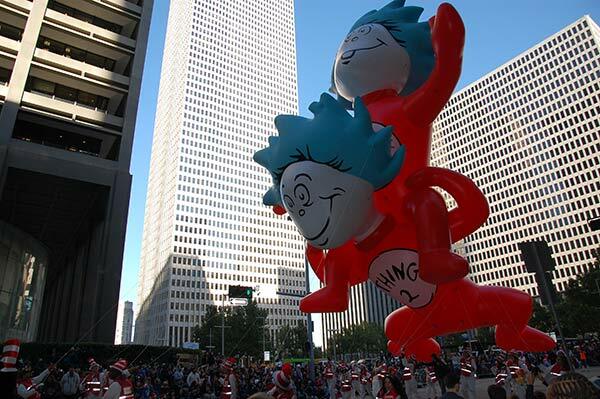 Thousands filled the streets for the 2016 Houston Thanksgiving Day Parade, featuring bands, dancers and balloons to celebrate the holiday season. 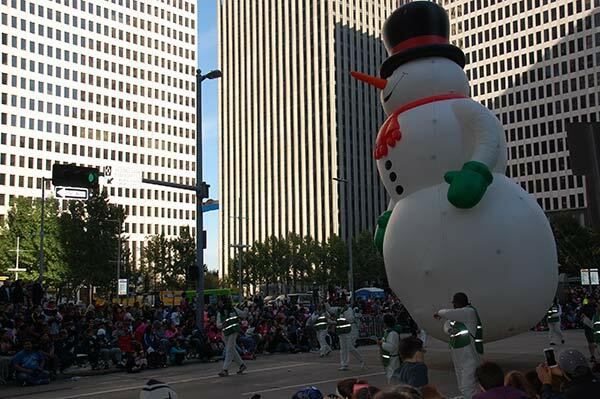 HOUSTON (KTRK) -- You know the Holidays have started when giant turkeys and marching bands take over downtown. 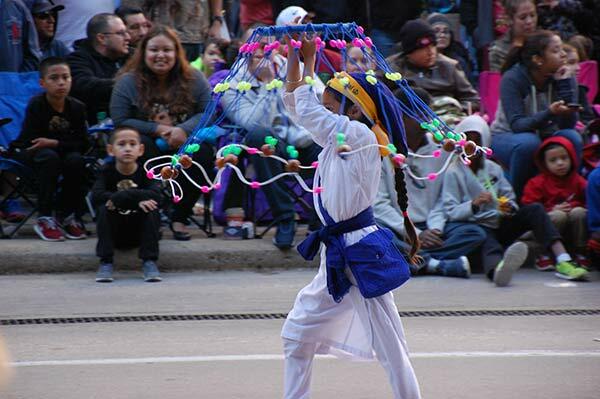 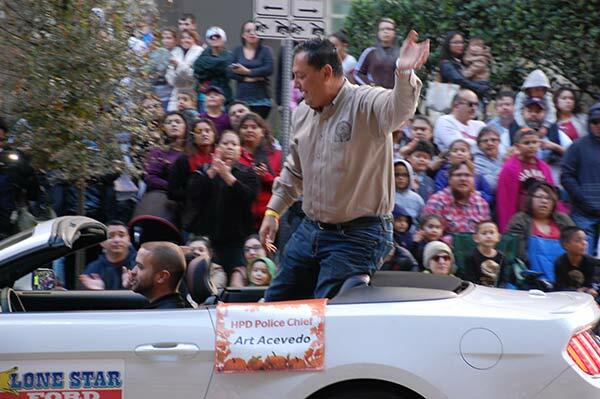 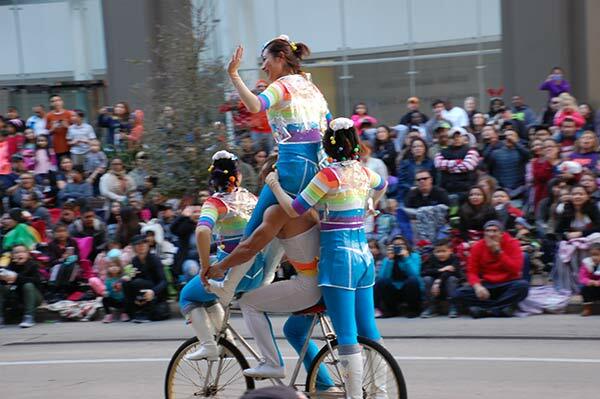 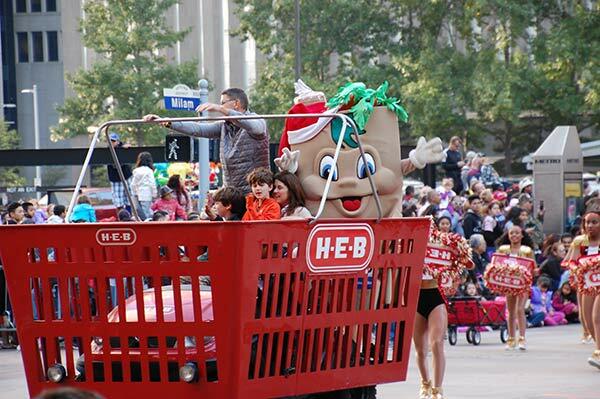 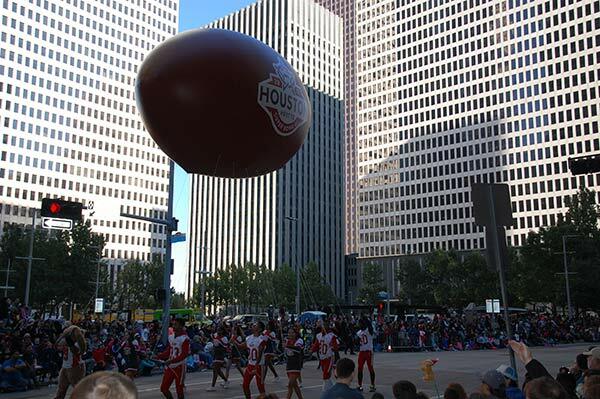 The 67th Annual H-E-B Thanksgiving Parade has wrapped for this year, and there was plenty of action out on the streets of Houston as thousands of people took over downtown to watch the parade. 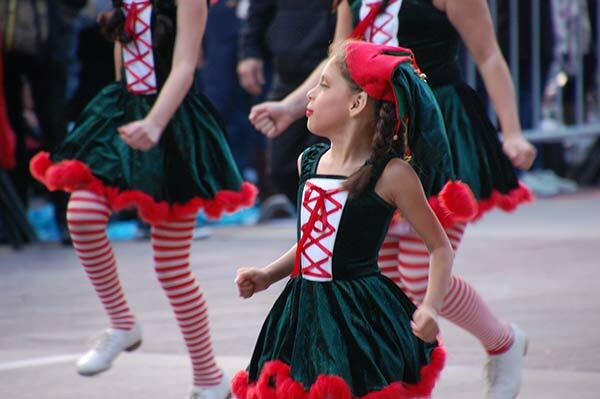 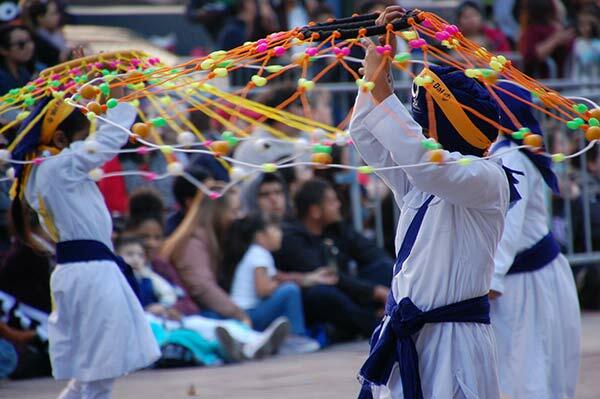 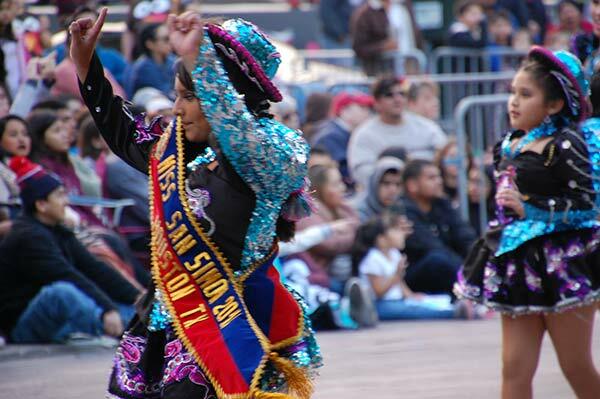 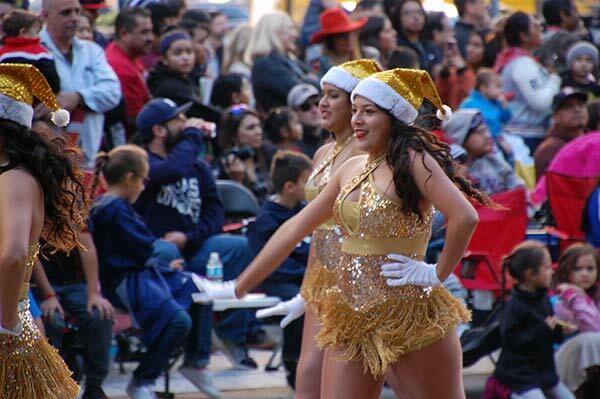 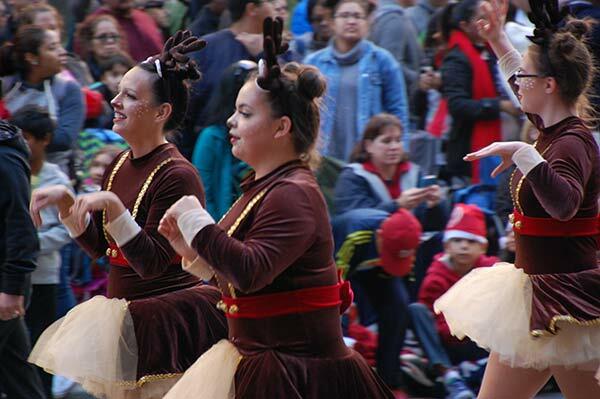 Two groups you'll see are the Caporales San Simon dancers and the Blue Streak Cloggers. 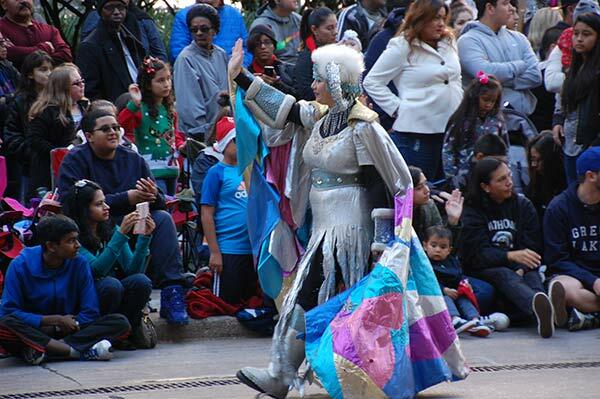 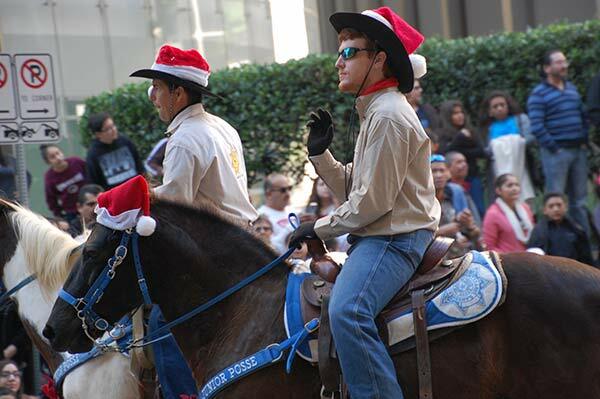 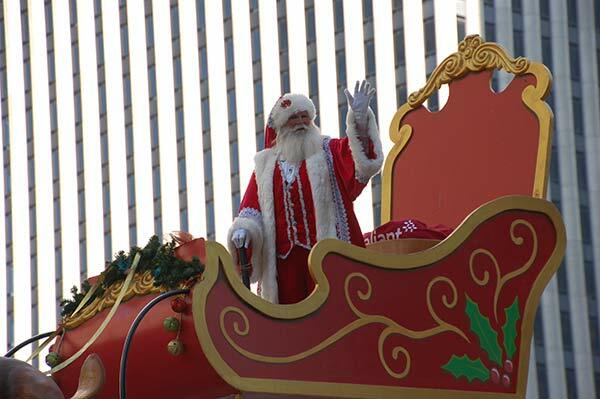 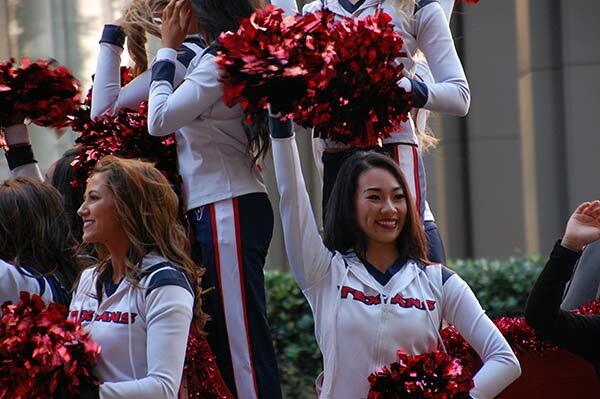 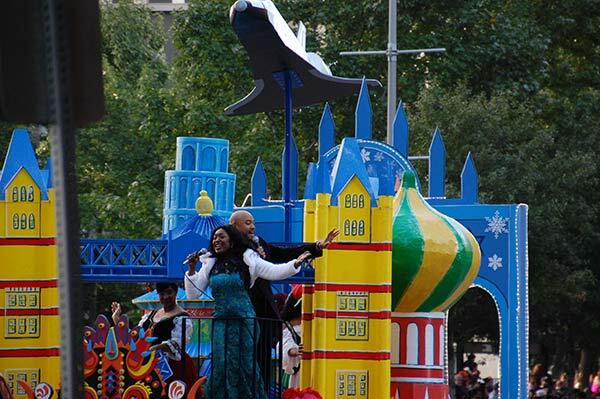 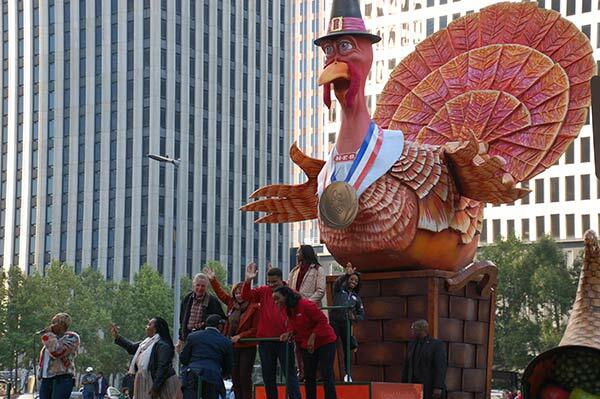 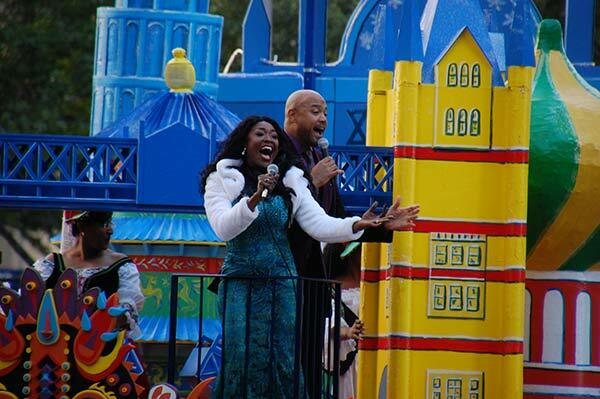 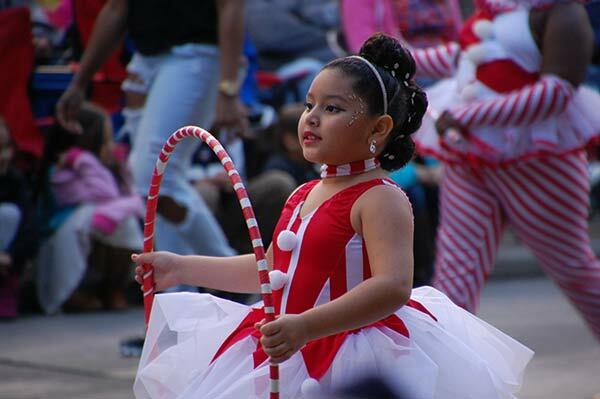 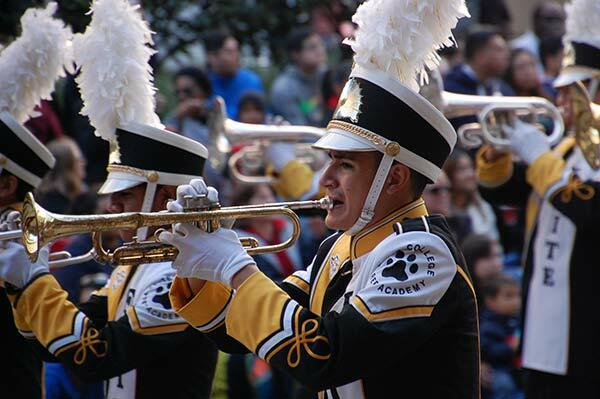 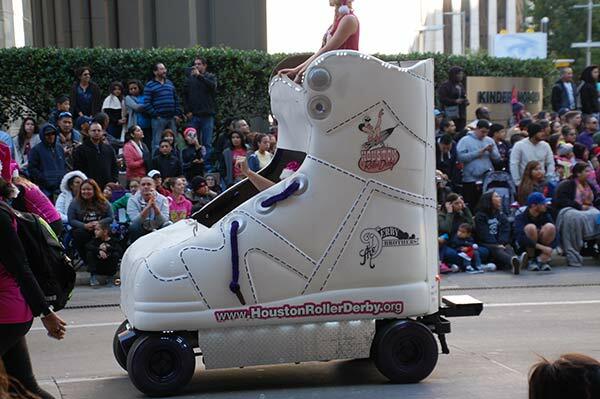 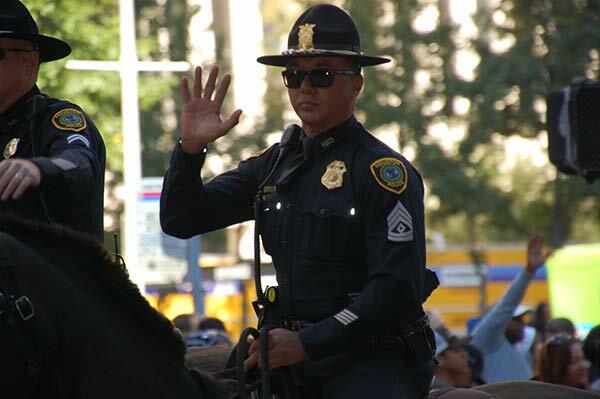 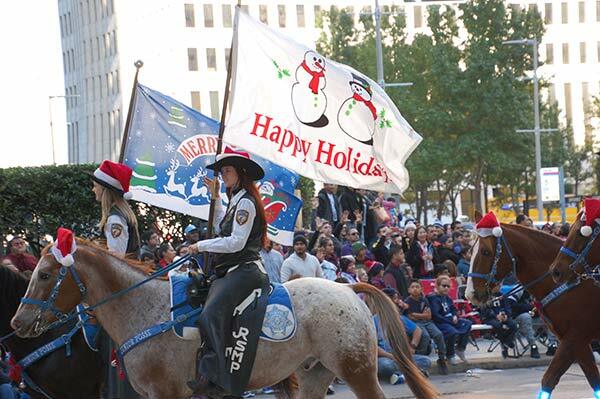 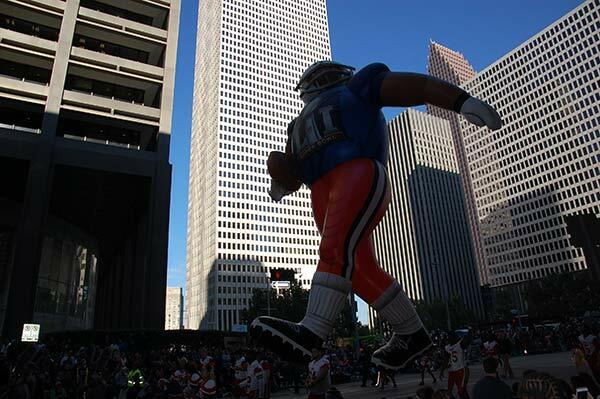 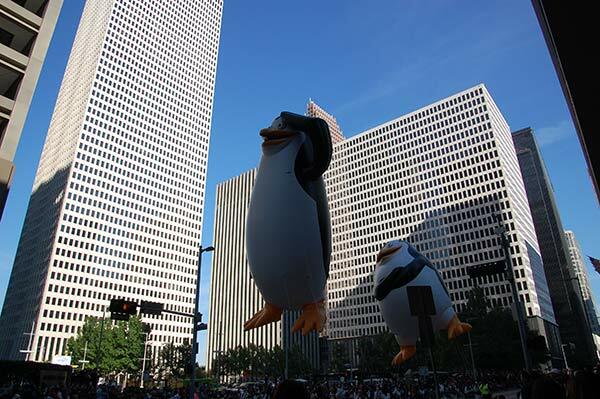 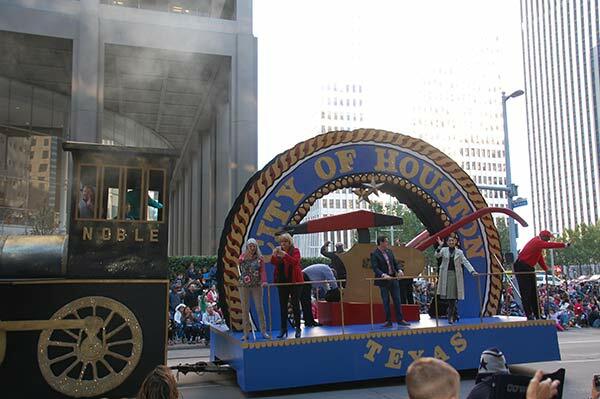 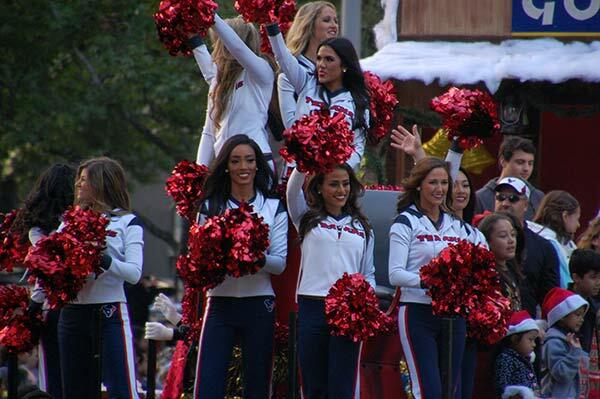 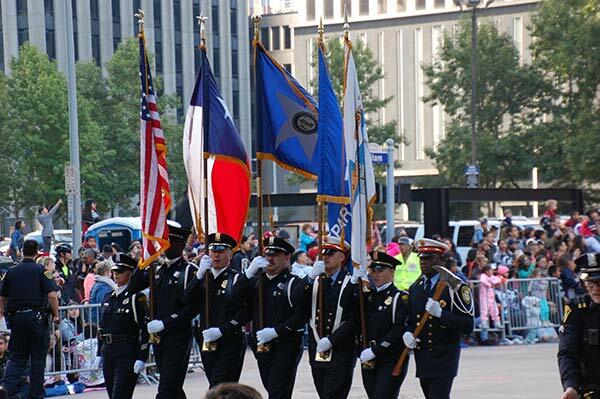 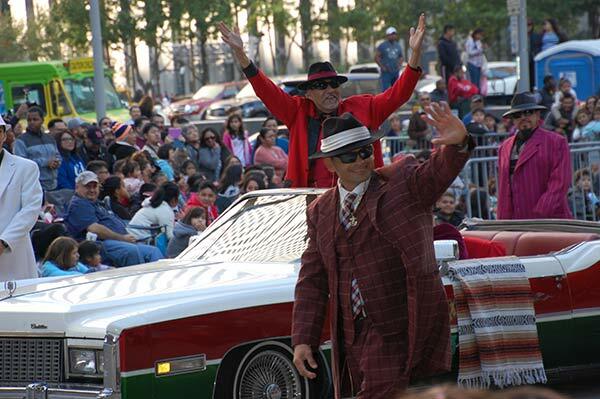 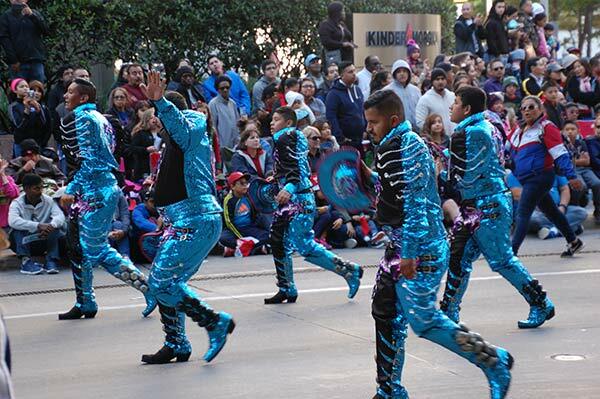 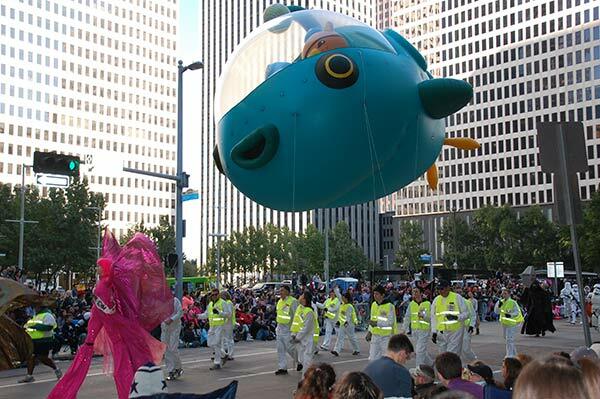 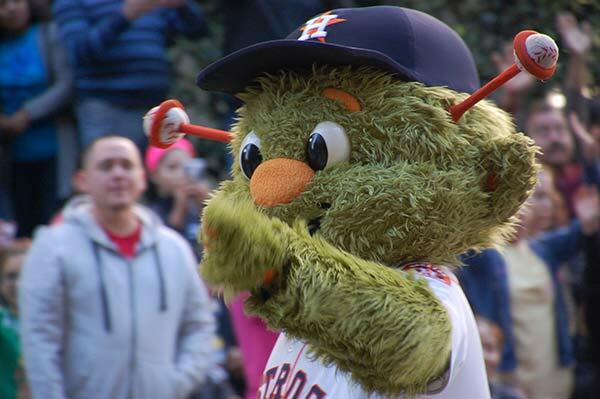 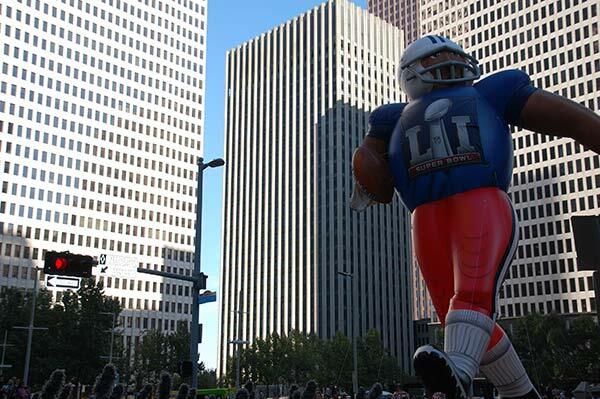 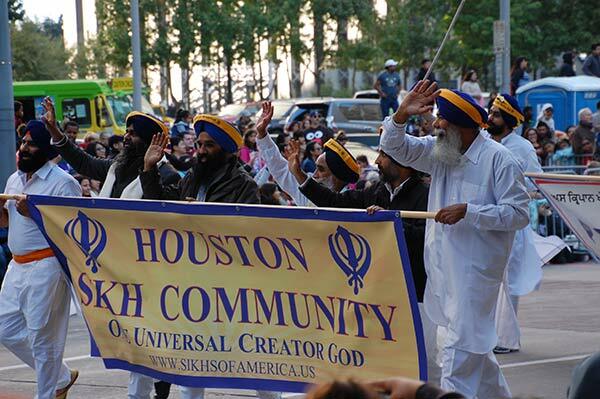 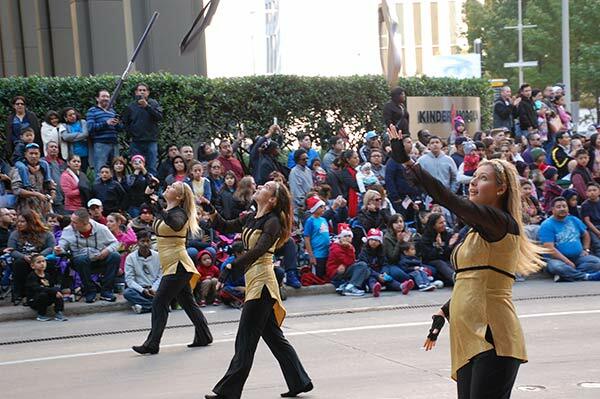 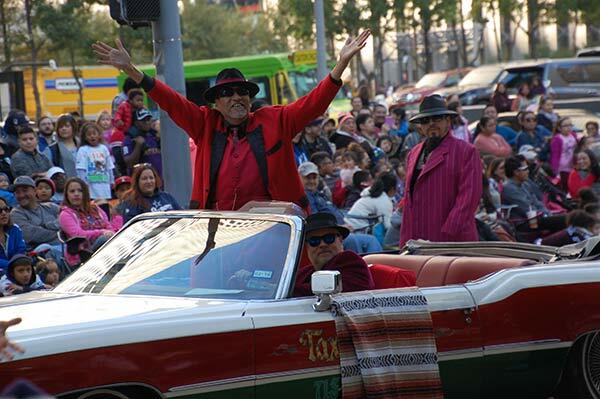 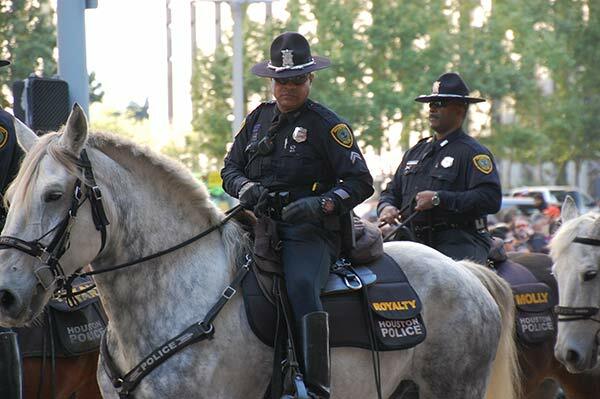 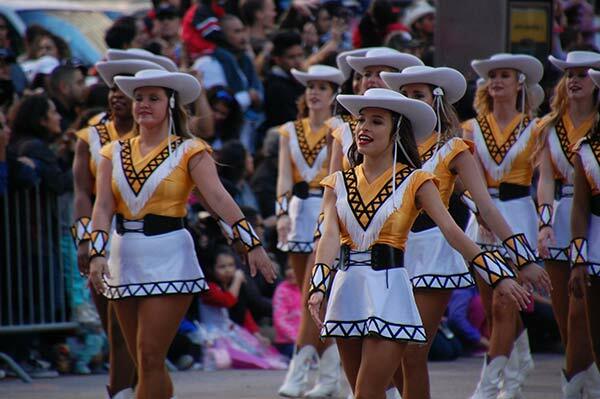 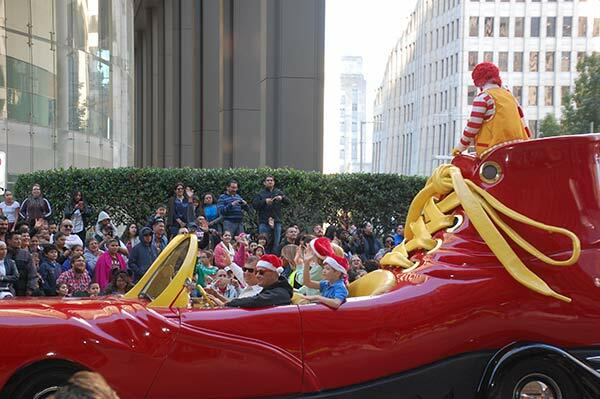 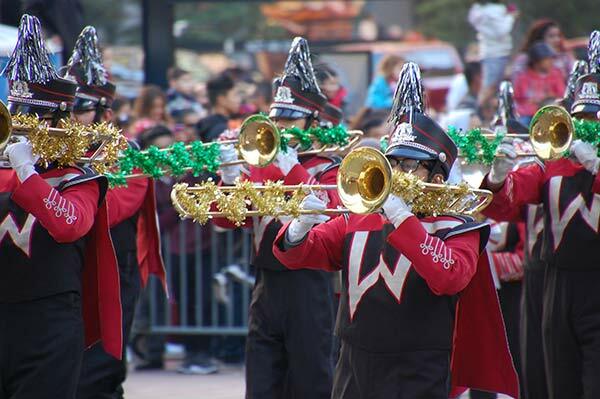 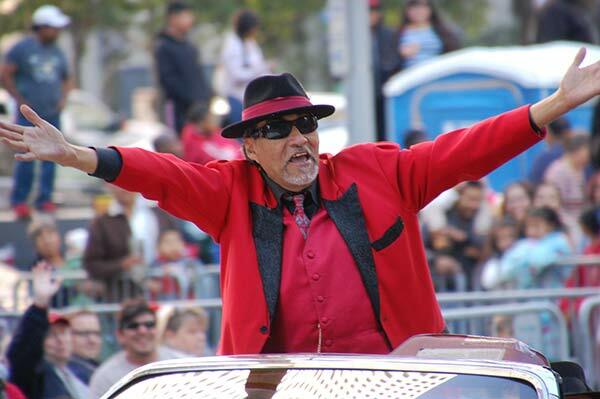 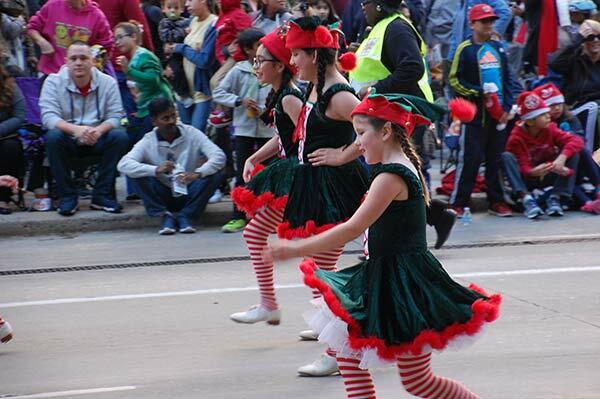 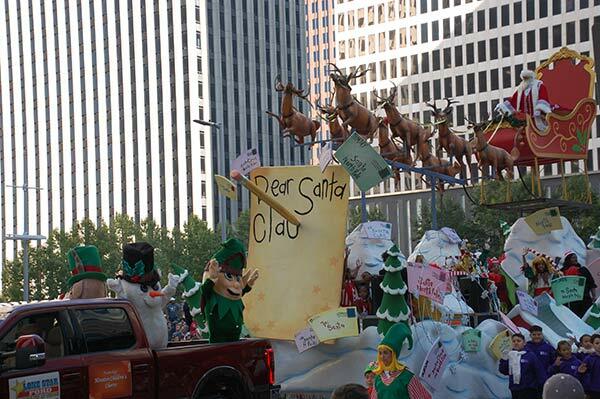 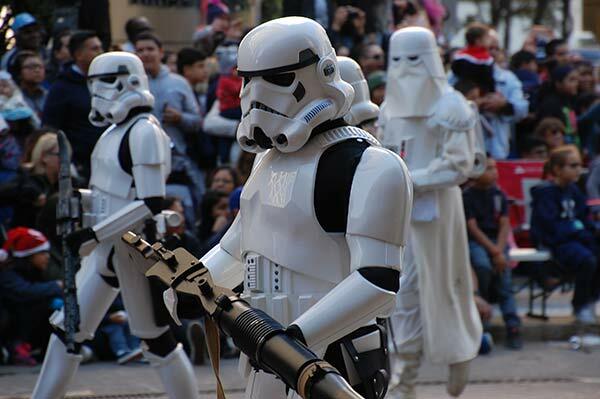 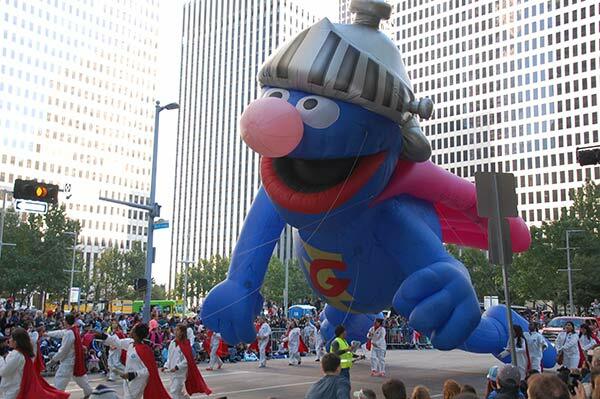 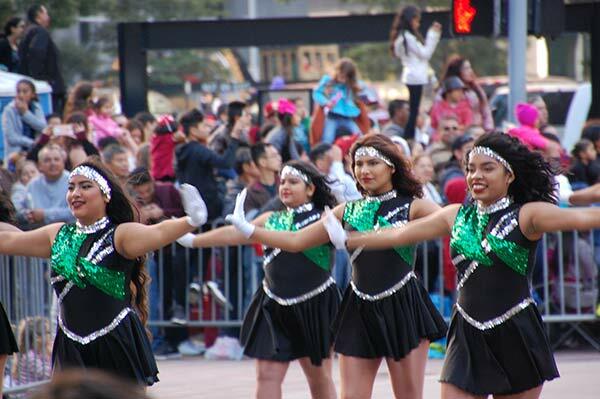 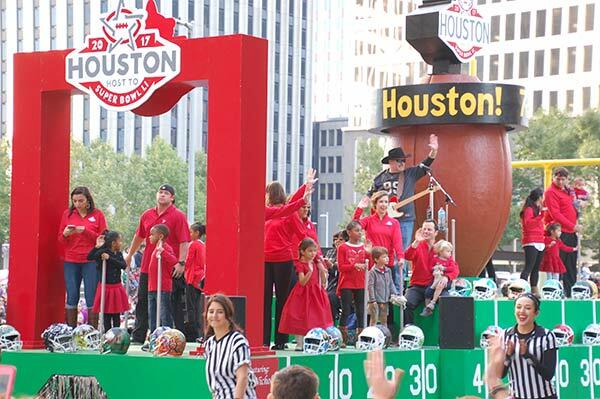 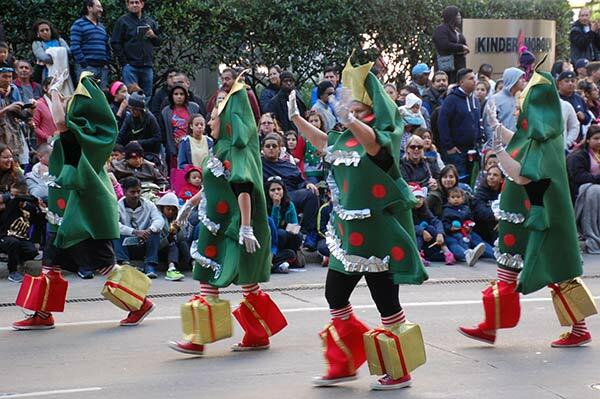 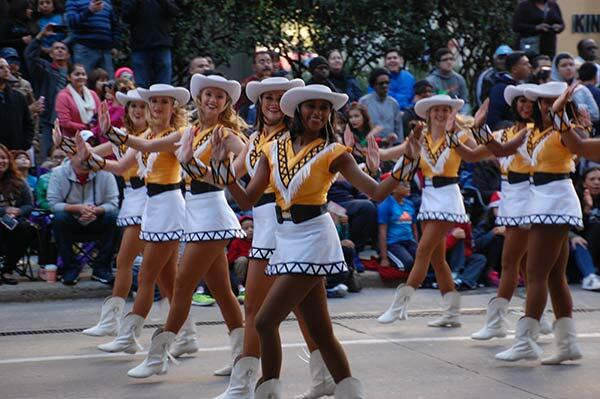 The annual Thanksgiving Day Parade took place in downtown Houston this morning. 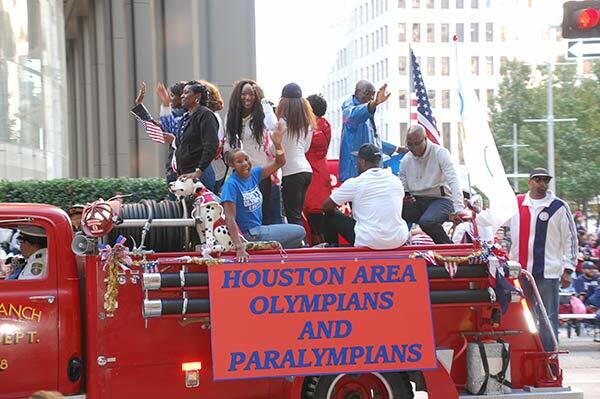 Olympic medalists and Houston-area natives Simone Biles and Simone Manuel were on hand as this year's grand marshals. 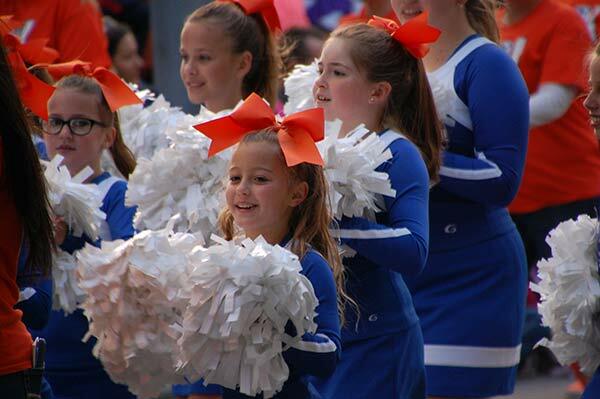 The Garrison family came all the way from Washington D.C. to see them. 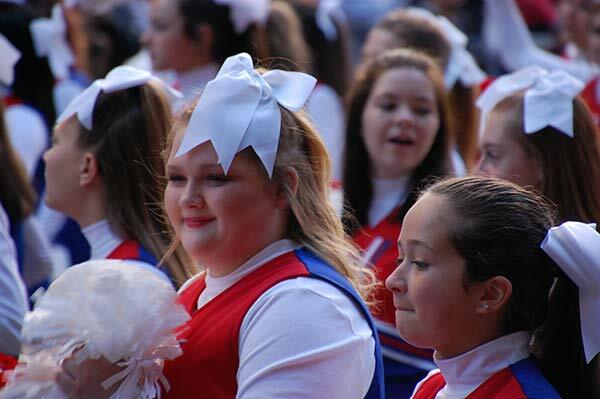 "That was one of the main reasons we came," said Micah Garrison. 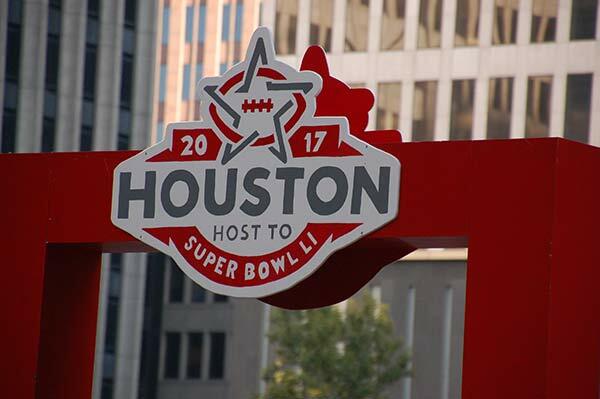 "Being able to come here and see our homegrown heroes and they represent on a national scale, so we are able to touch Houston in DC." 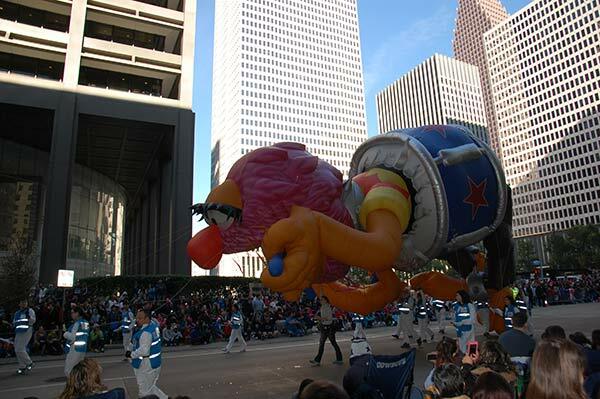 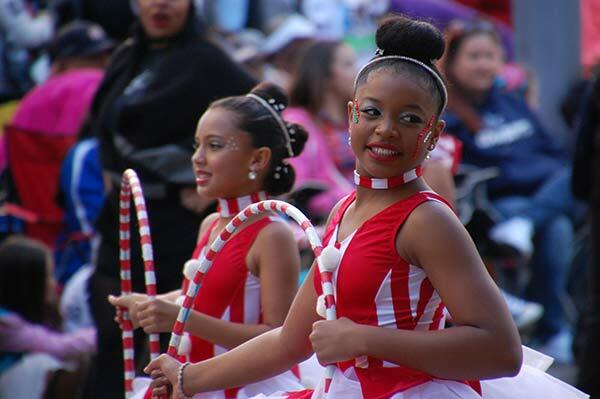 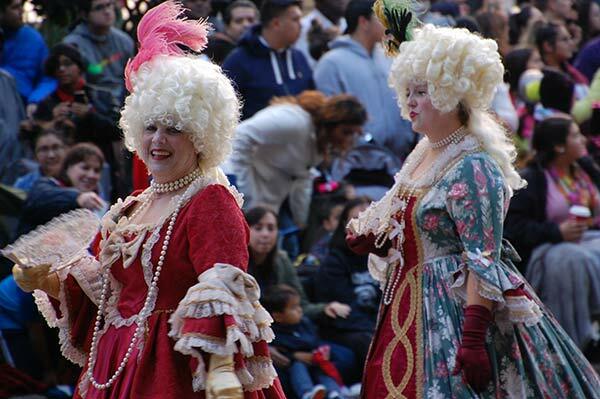 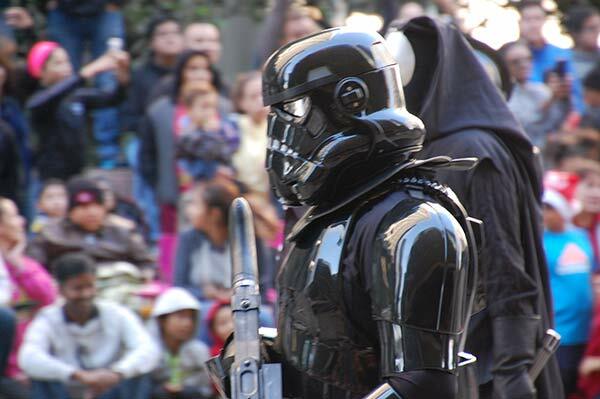 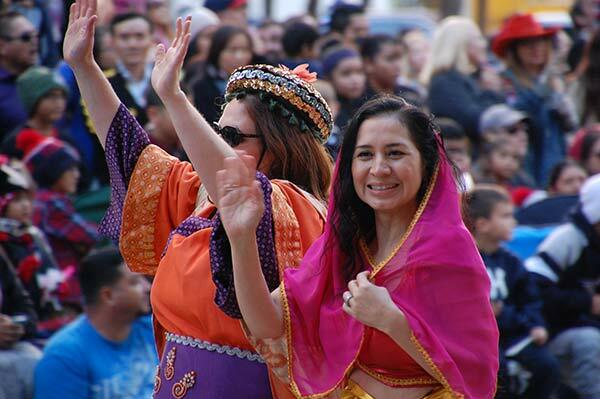 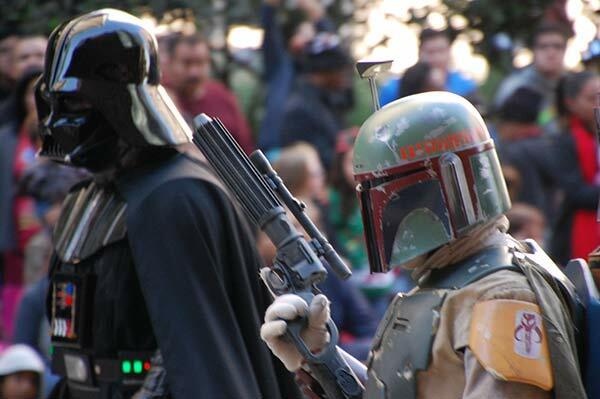 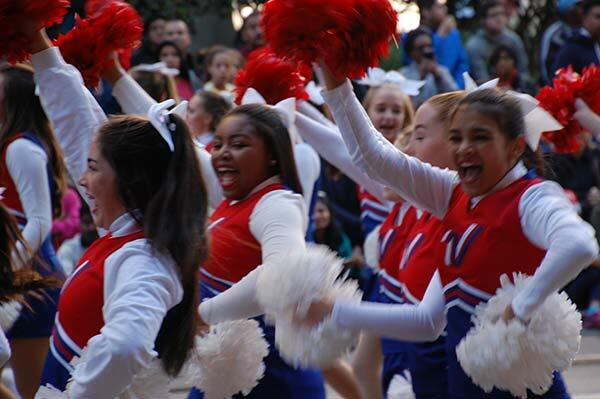 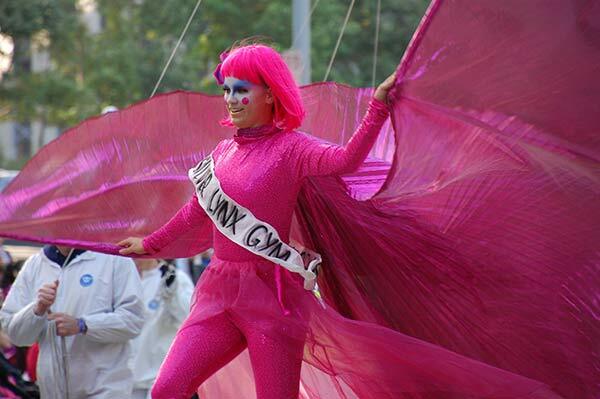 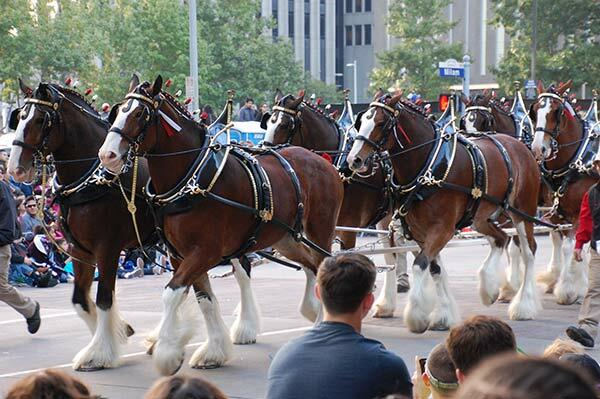 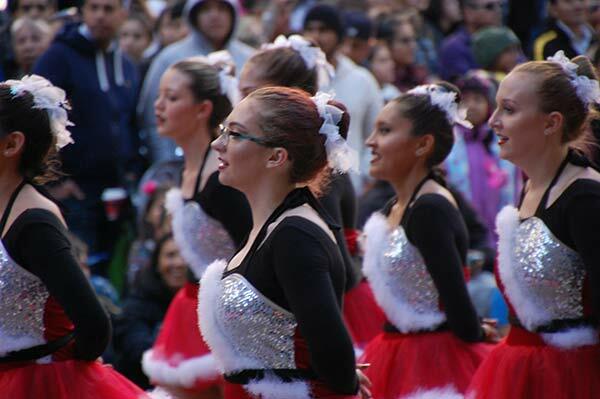 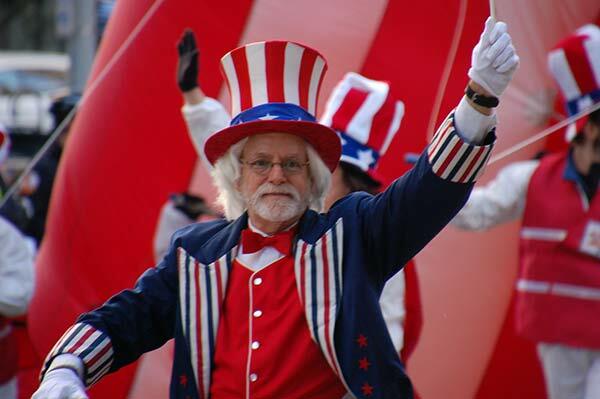 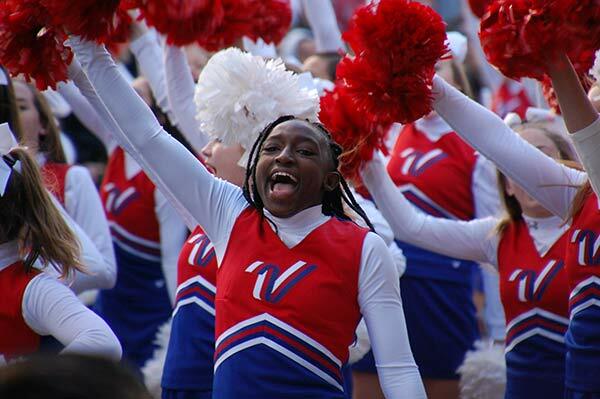 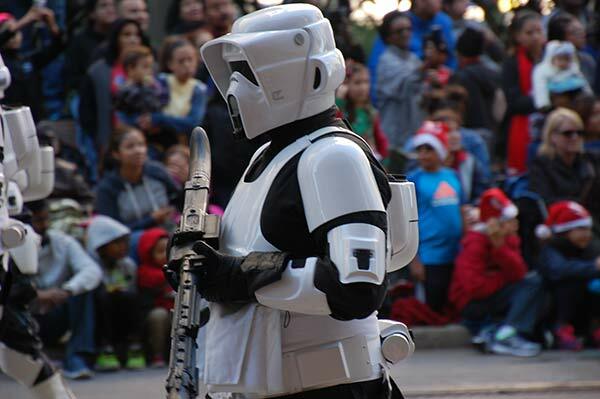 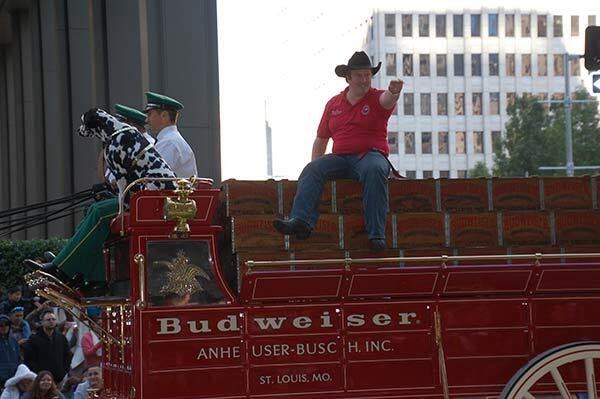 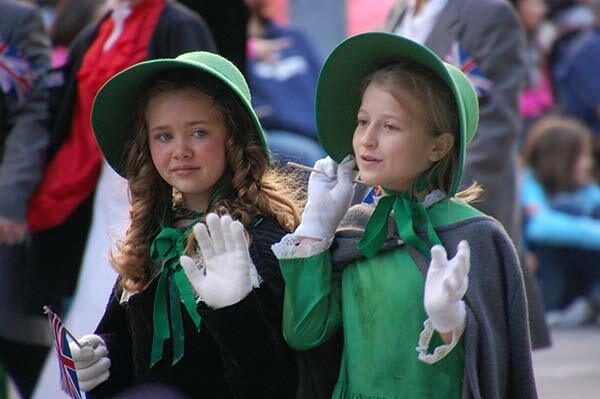 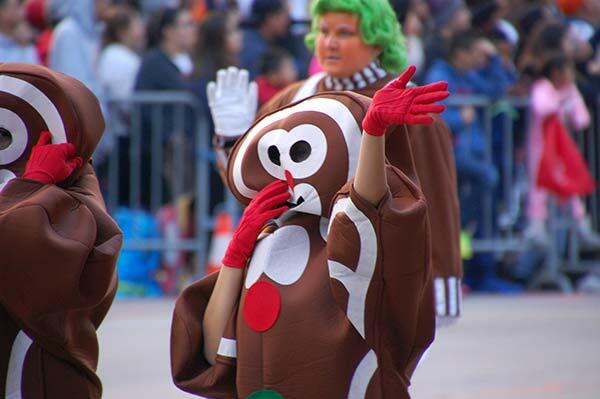 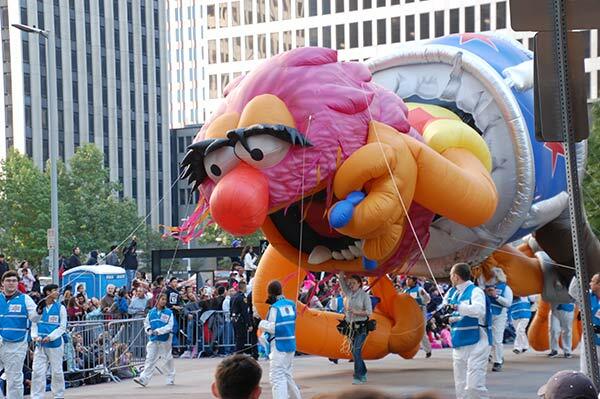 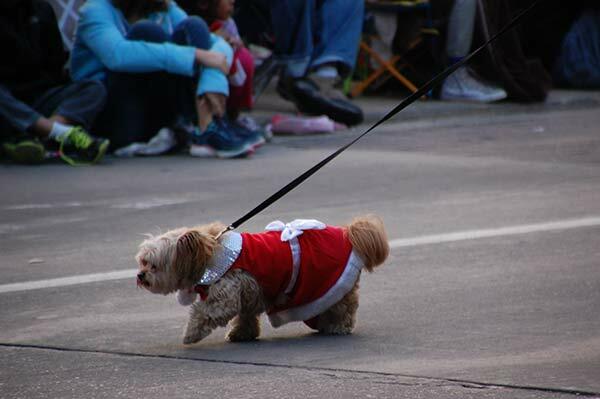 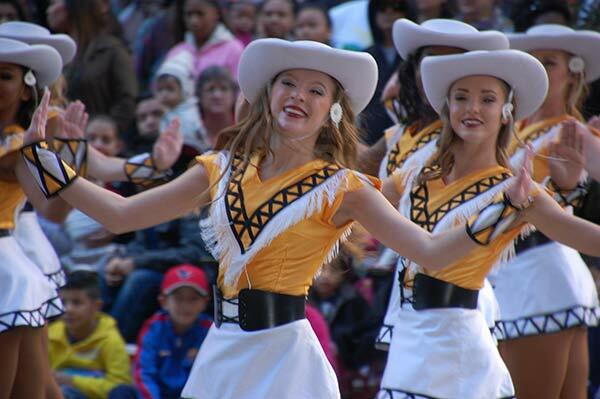 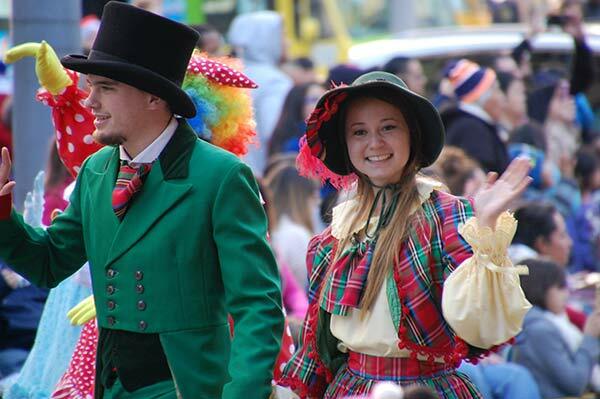 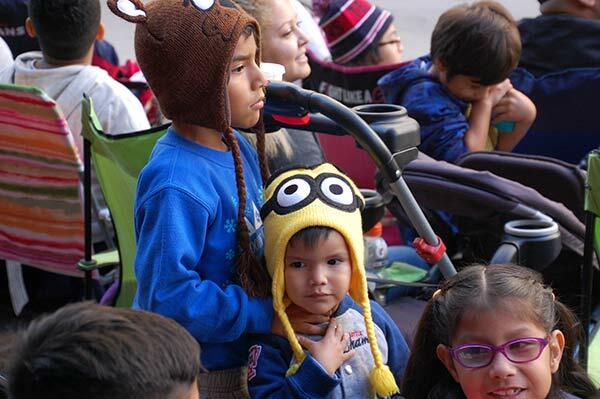 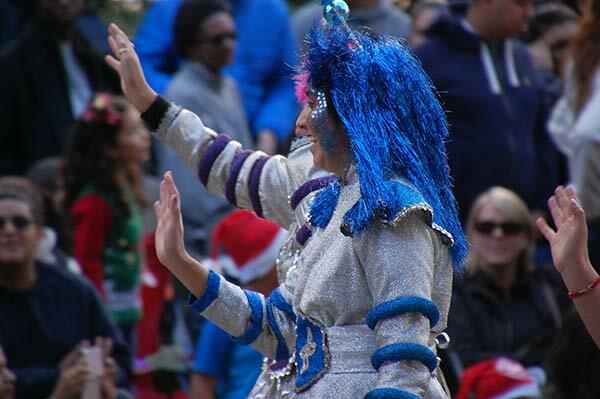 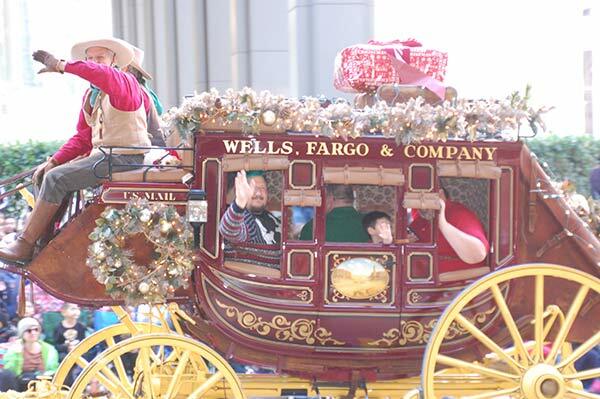 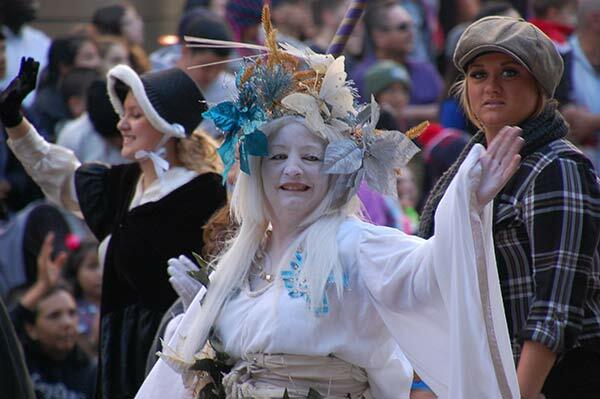 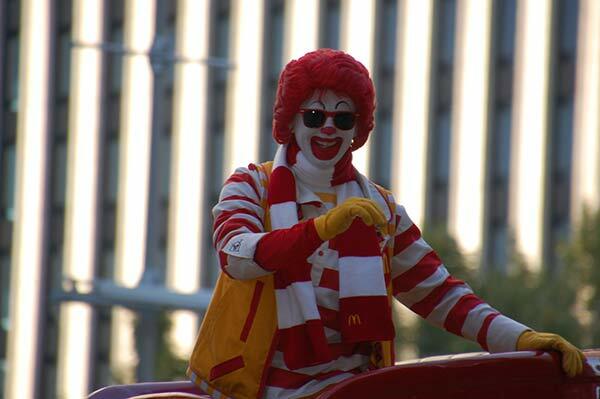 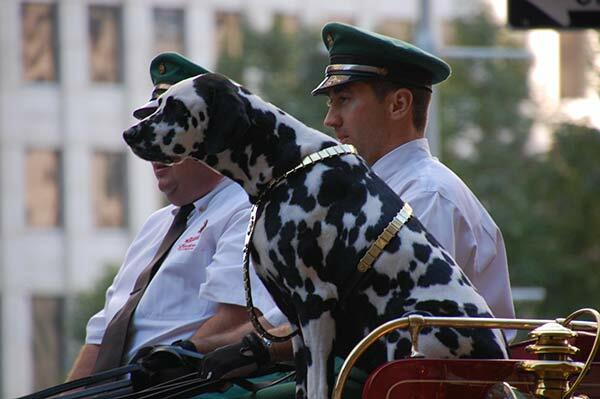 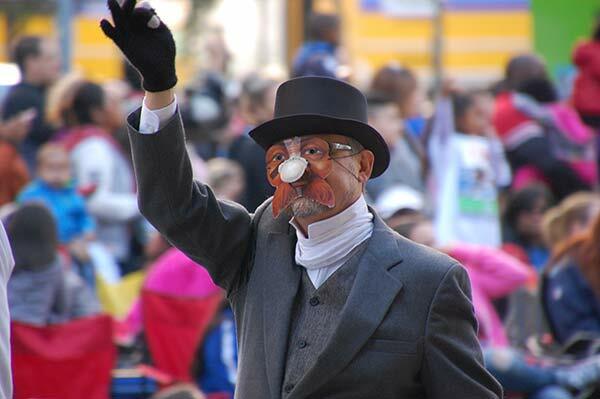 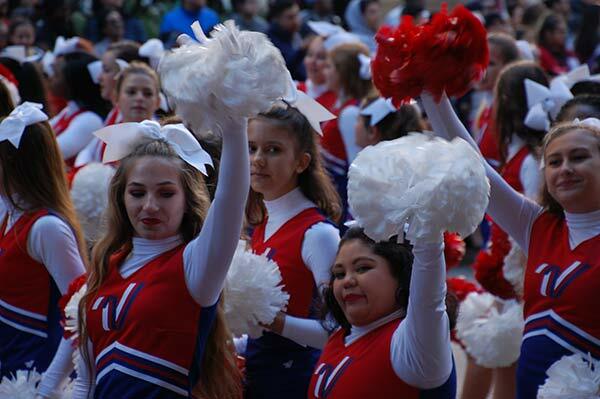 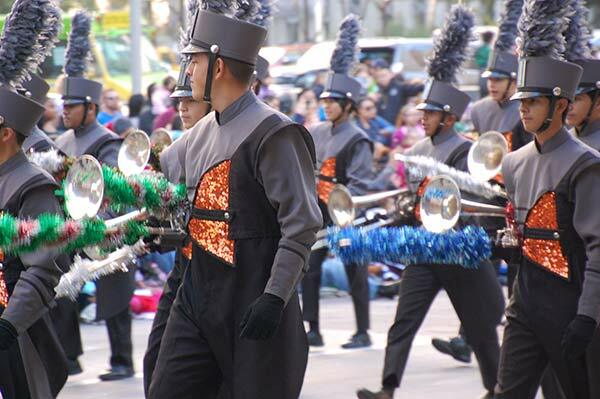 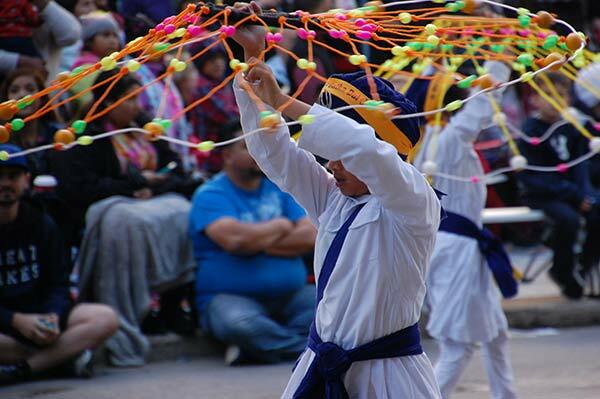 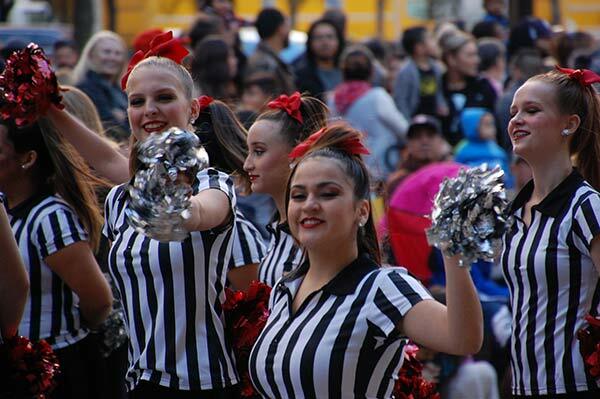 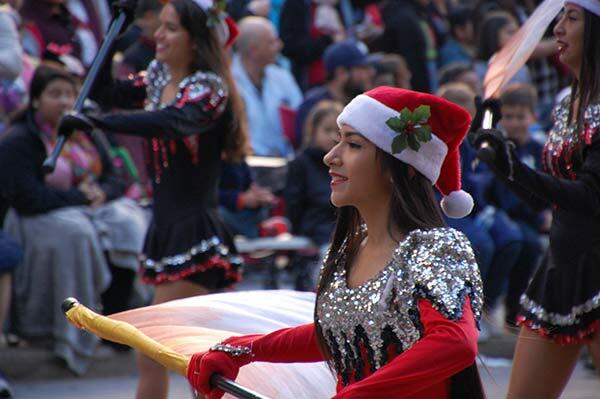 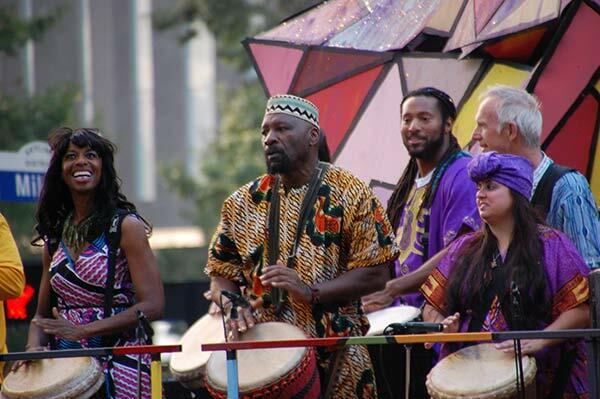 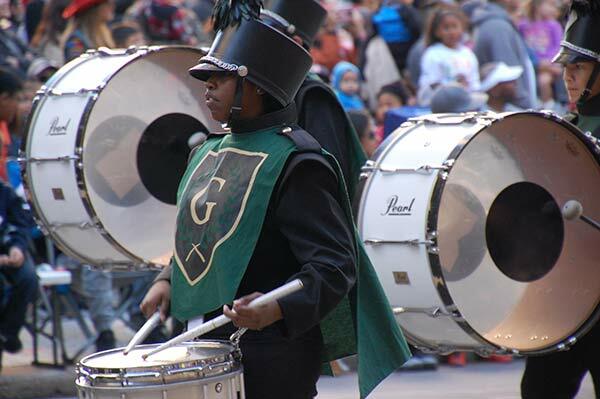 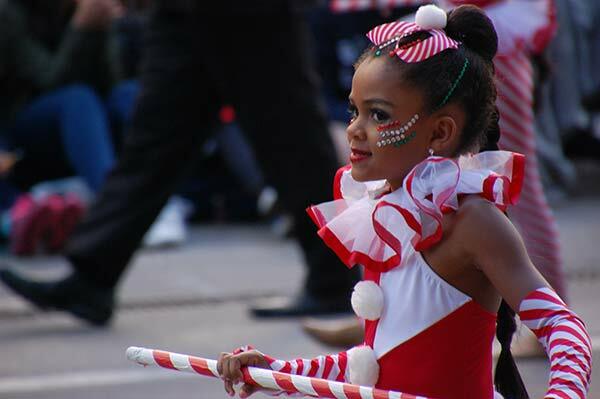 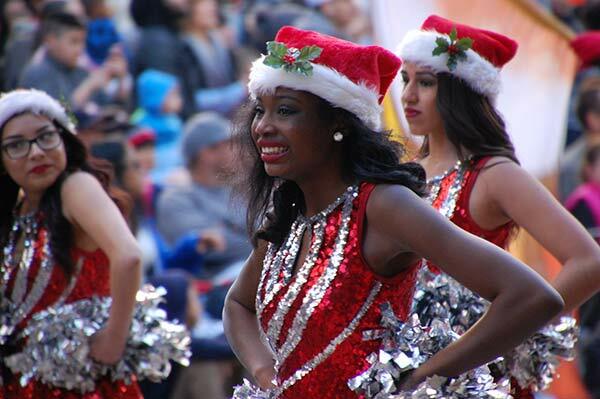 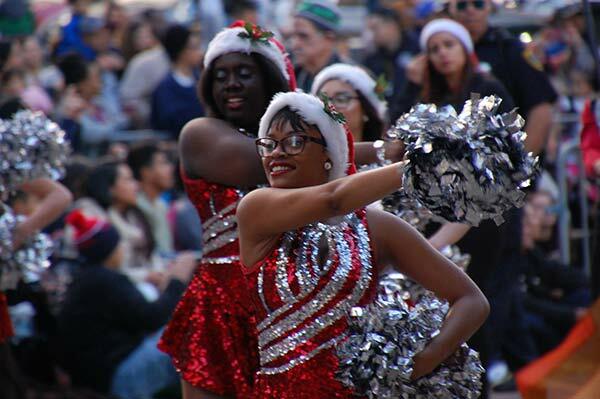 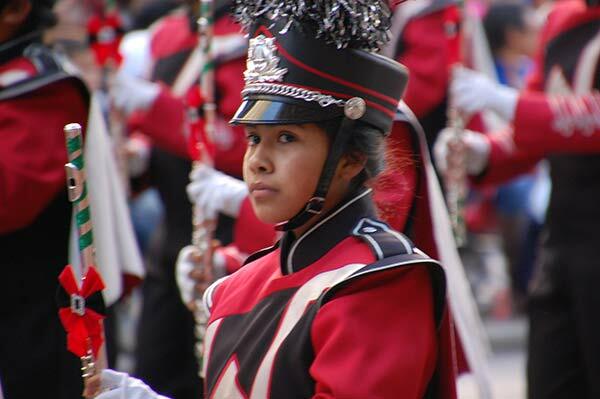 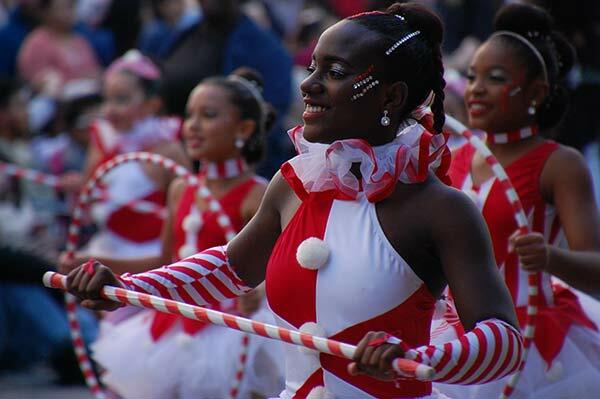 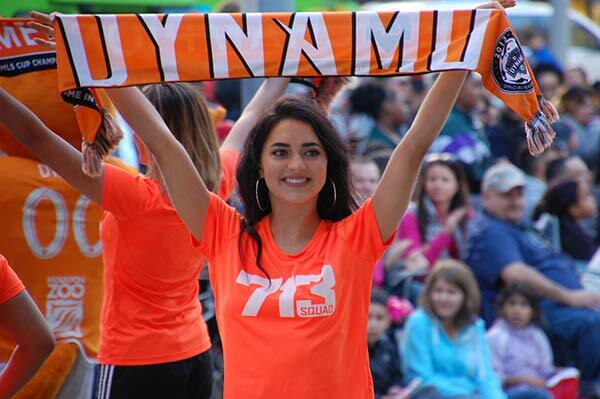 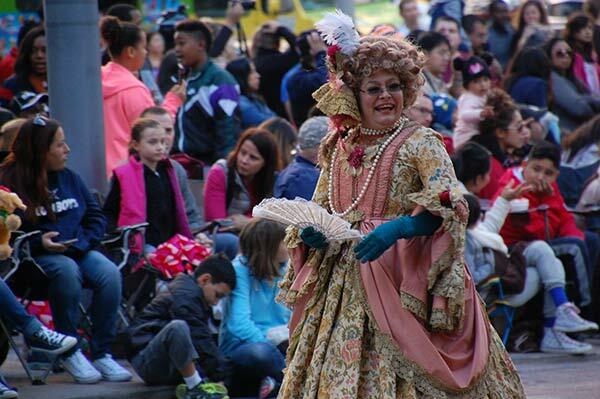 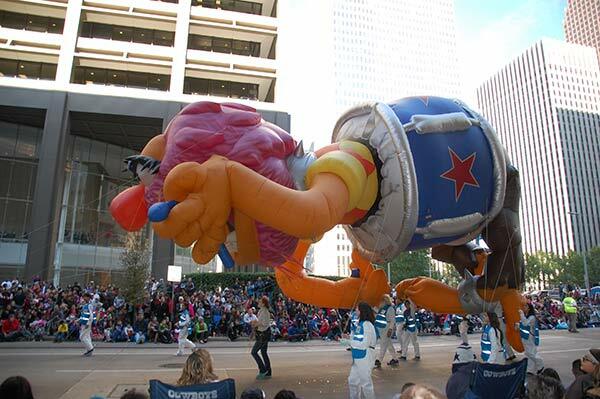 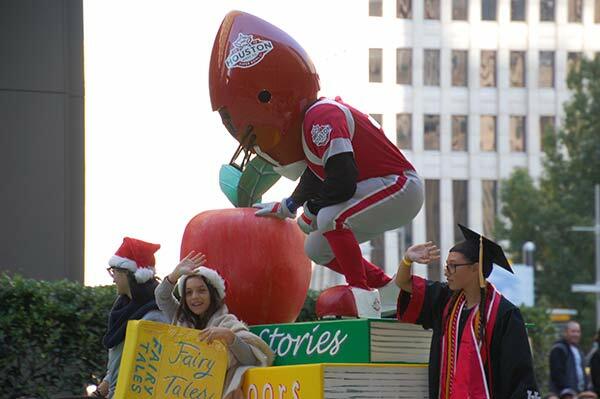 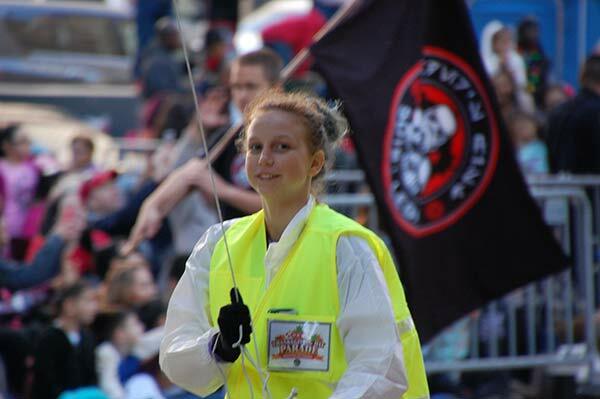 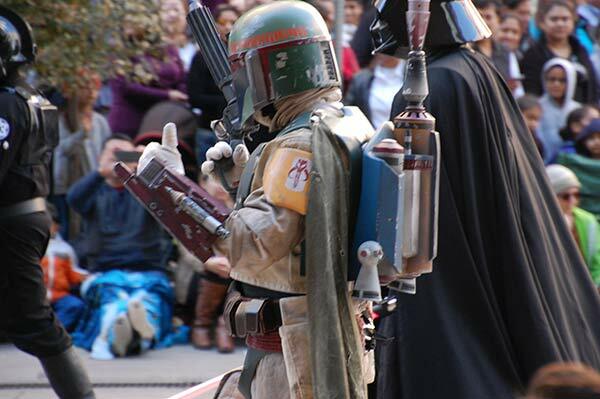 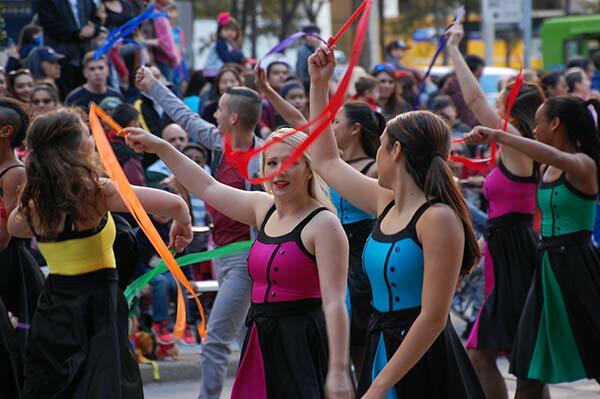 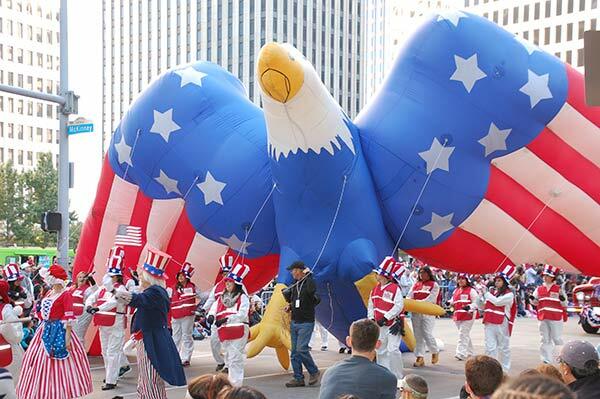 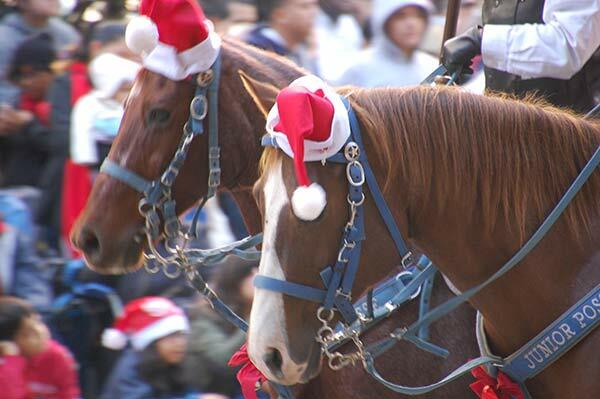 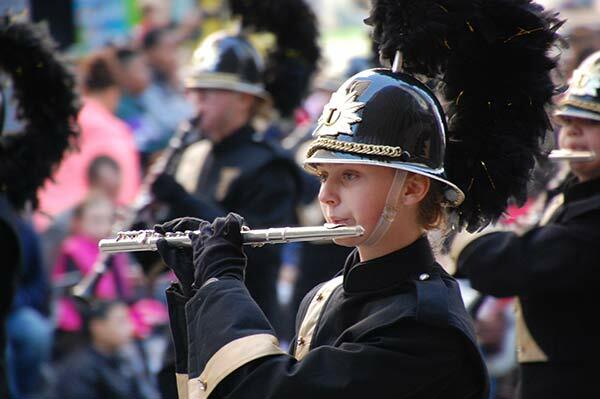 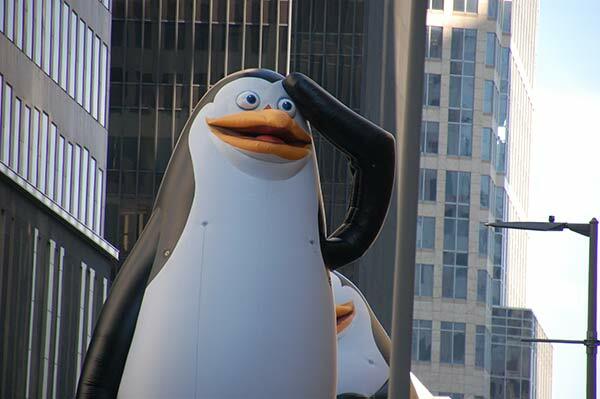 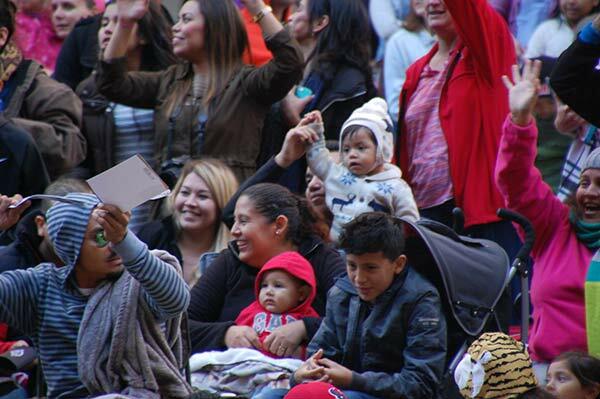 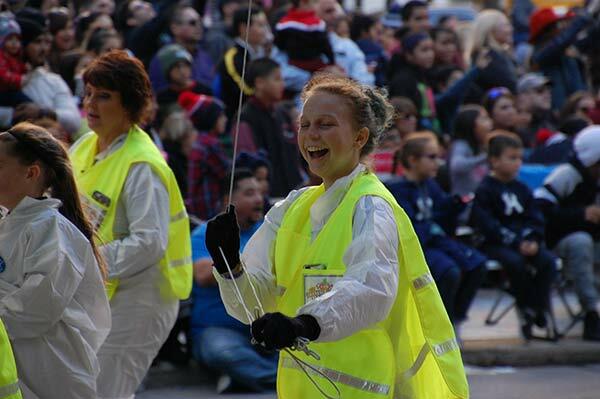 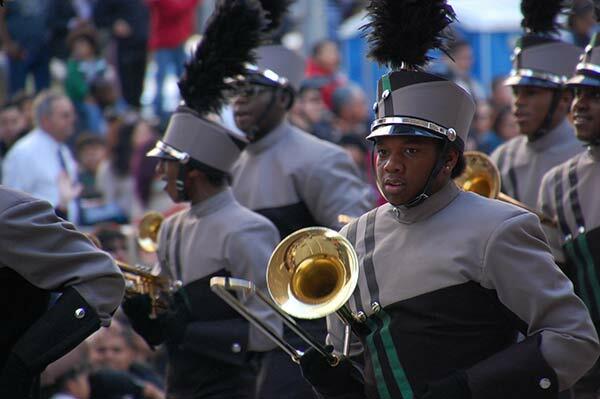 The 67th annual Thanksgiving Day Parade has plenty to offer. 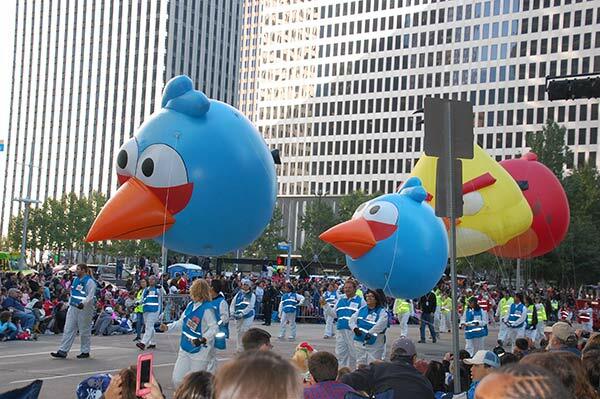 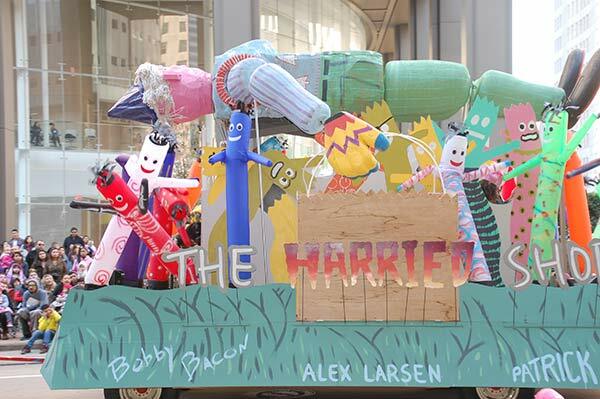 More balloons, more locally-decorated floats, and more bands than ever before. 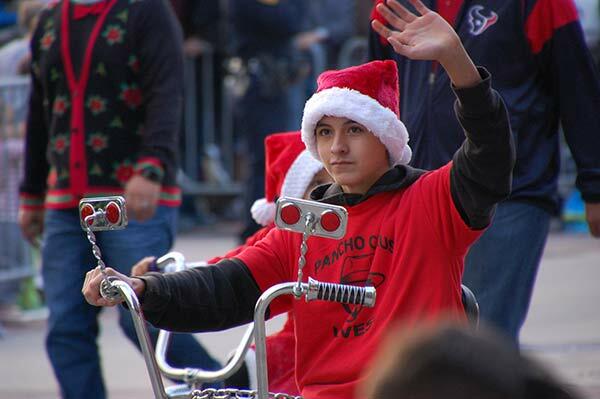 Jose Garcia said his son wants to be a trumpet when he grows up. 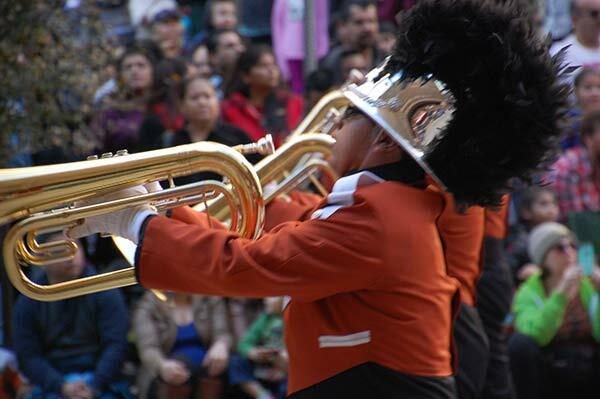 Yes, you heard correctly, a trumpet. 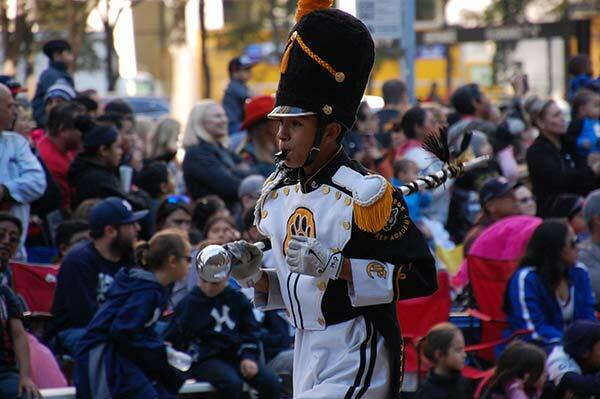 He was obviously very excited by the bands. 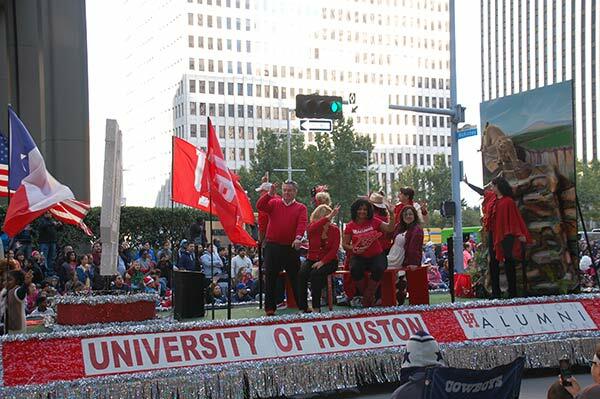 Houston Mayor Sylvester Turner was also beaming with pride. 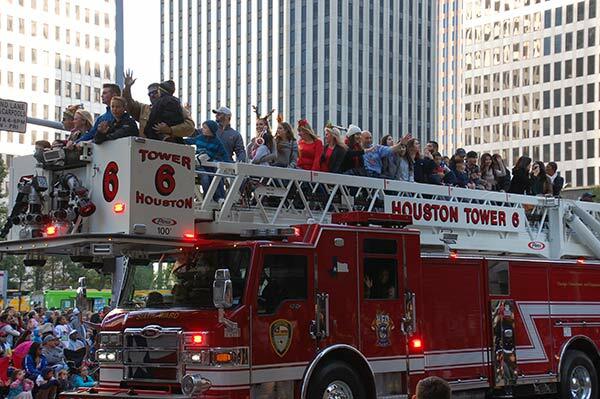 "Family, friends, we are just blessed to be right here in the city of Houston," Sylvester told Eyewitness News. 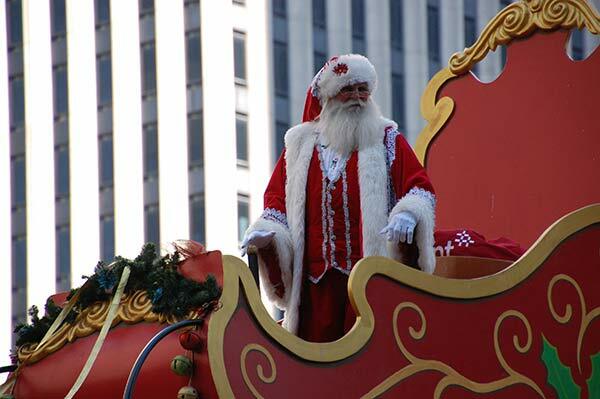 Of course, the real star of the show, Santa Claus, bringing up the rear and turning shouts of "Happy Thanksgiving" into greetings of "Merry Christmas." 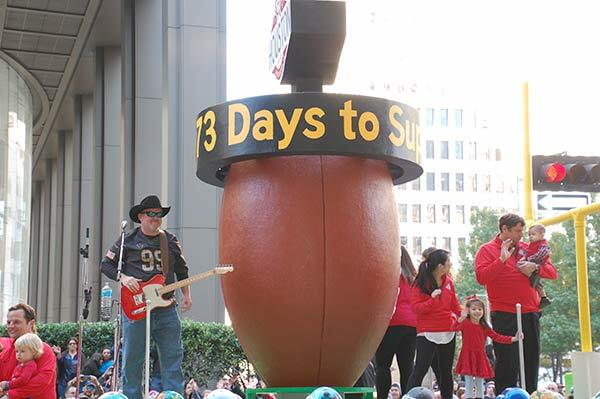 There are, after all, just 31 days until Christmas.